“Your gender shouldn’t determine what you can and cannot do,” Huber said. 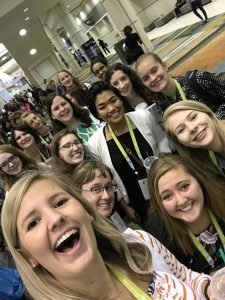 Accomplishing a variety of professional experiences, Sarah Huber faced the unique challenges of being a female in the male dominate world of science, technology, engineering and mathematics (STEM). 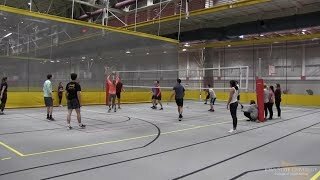 Sarah Huber graduated with a bachelor’s degree in electrical engineering from the Department of Electrical and Computer Engineering at Iowa State University in December of 2017 and is currently working as a power electronics project manager at Tesla in Palo Alto, California. Huber, a native of Bettendorf, Iowa, entered Iowa State as an undeclared engineer. By the end of her first semester, she chose to major in electrical engineering. Sarah Huber and Dr. Tuttle stands with her Senior Design poster. 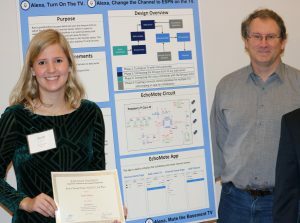 While at Iowa State, Huber was a co-chair for the Engineering Career Fair, a Student Admissions Representative (STARS), a teaching assistant (TA) for Electrical Circuits, a member of the Kappa Kappa Gamma women’s fraternity and Digital Women and received the Outstanding Senior Award. In addition to her participation on campus, Huber had several professional experiences to add to her resume. She was an electrical manufacturing engineering intern with John Deere, completed a co-op with IBM as a product/systems assurance and validation engineer and was a product marketing engineer intern at Texas Instruments. Despite all her accomplishments, Huber had many impactful experiences in the classroom, where her gender played a role in how her peers interacted with and spoke to her. She cited that while there is nothing bad or wrong with being different, the obstacles to overcome can become exhausting. In one of her in-class examples, Huber and her peers were asked to make a person out of asterisks on a computer. She made a stick figure that was wearing a dress, and when her TA came over to approve her work, Huber was told, “I’ve never seen it done like that before.” All of her male peers had made stick figures with square bodies, while hers was triangular. 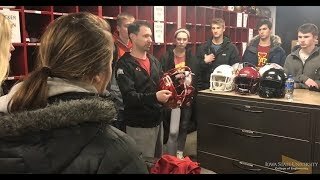 “That’s not an example of your TA being disrespectful, but it was an example of just noticing how different I was in that environment,” Huber said. According to the National Science Foundation (NSF), overall, women have higher college graduation rates compared to men. However, in STEM disciplines, the number of male graduates disproportionately out numbers that of females. Hearing remarks like, “So when are you going to switch your major?” as Huber did, highlights why many women choose areas of study outside of the STEM fields. 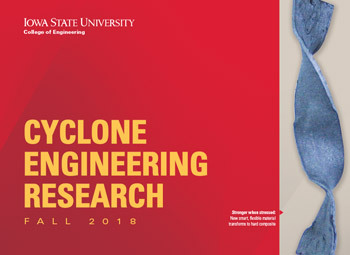 To address this challenge, in 2017, Iowa State University received nearly $10 million in funding from NSF to help improve diversity in STEM fields, $5 million of which goes toward a program known as ECSEL (Electrical, Computer and Software Engineers as Leaders). Sarah Huber pictured with the first cohort of S-STEM award recipients in 2017. While women are welcomed and often encouraged to join STEM programs, many have shared experiences that are not always positive. Some of these women convey that it takes great courage to stick with their passion for their work while being minorities. Sarah Huber pictured with the 19 other women who traveled to the Grace Hopper Celebration. 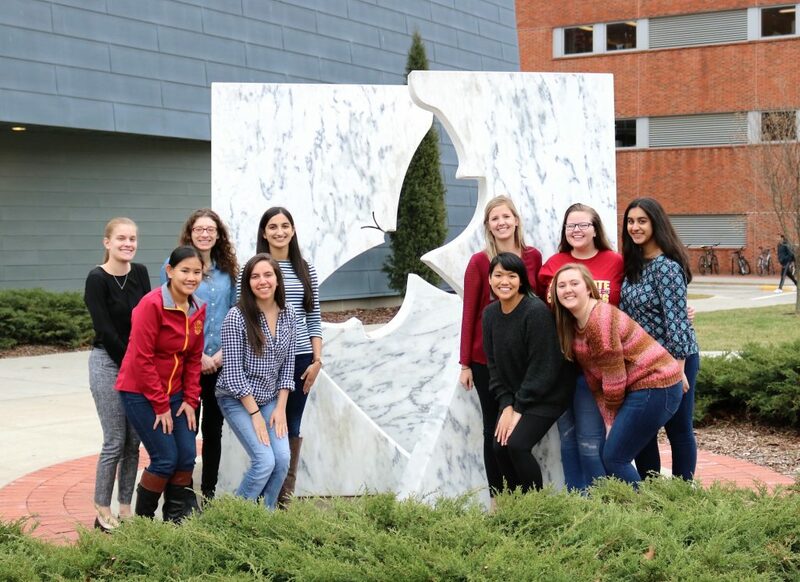 During her last semester at Iowa State, Huber and 19 other women traveled to the Grace Hopper Celebration in Orlando, Florida. The inspirational trip was filled with speakers and a career fair featuring over 230 companies, one of which was Tesla. In Huber’s role as a power electronics project manager, she works on charging products, such as the mobile connector, wall connector and adapters. These charging products are used on all S/X/3 Tesla models. 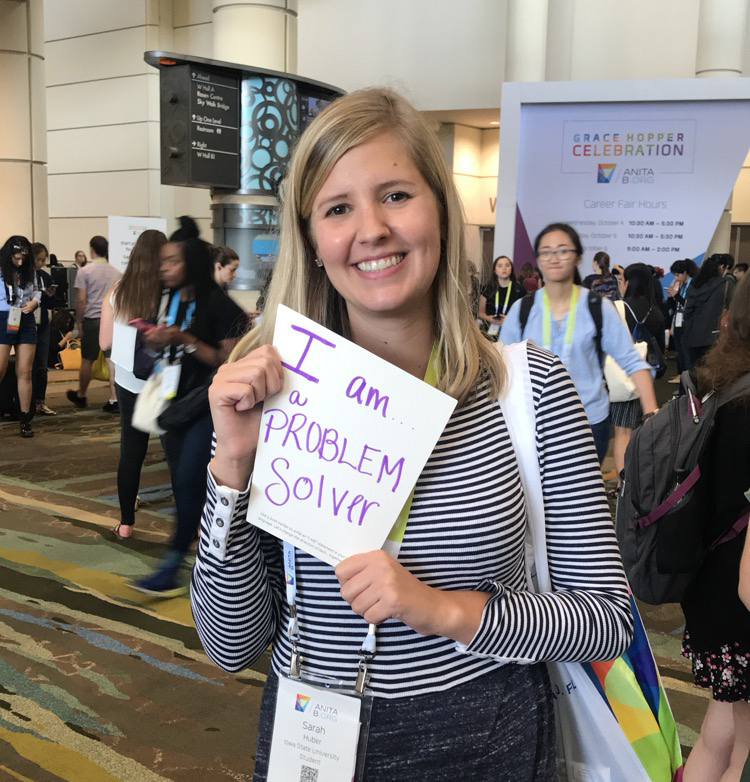 In 10 years, Huber sees herself as a manager of a group or a team and hopes to promote more women and be a representative for in engineering.